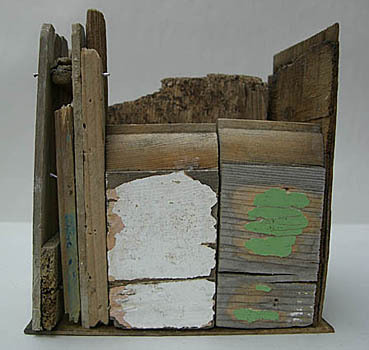 Using the detritus from old buildings and washed up material, Keara Stewart delicately constructs new melancholic citadels – which reference the mobility of Whitstable and its shifting identity. Stewart’s The Hut and The Sands explore memories of English holidays and the innocent entertainment to be found in collecting souvenirs. They also highlight the changing architecture of seaside towns such as Whitstable where slickly painted huts and expensive gift shops cater for an affluent influx of nostalgia seeking city visitors. Keara Stewart has made a special set of cut out and keep Entertainment collectors' cards for Arty 24. Read more about it and find out about stockists and buying online here.